Buying a home is one of the most exciting things you will ever do. However, it can also be one of the most stressful things you will ever do as well. You can easily avoid all that stress by spending a little time learning some of the home buying basics such as the closing process and the costs associated with it. 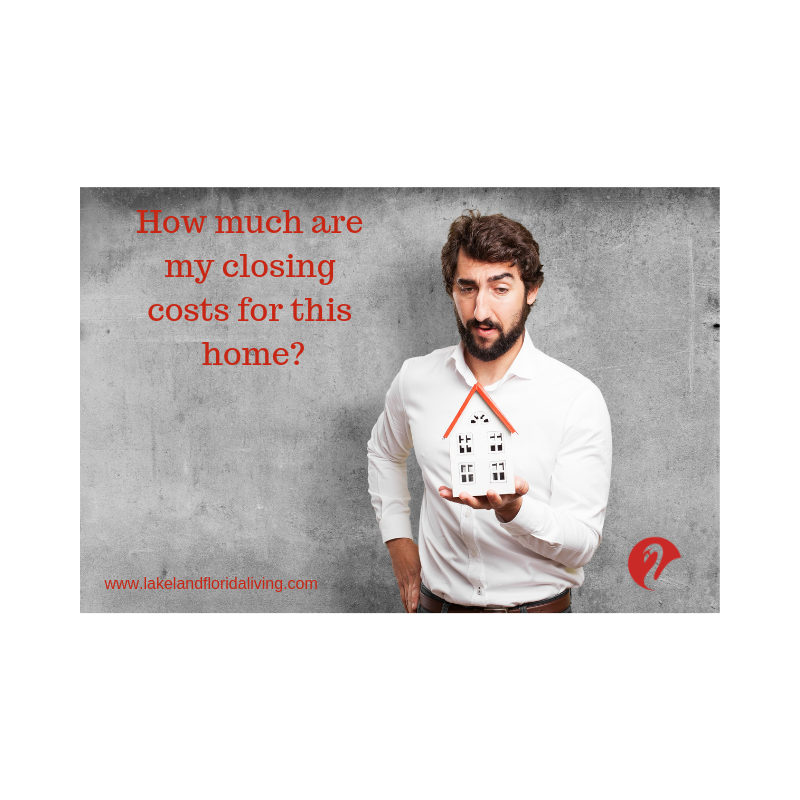 Do you know what all the closing costs are and what the related real estate terminology means? If you don’t, or think you do but really don’t understand it all that well—it could cost you and cost you big. What is the overall percentage of a buyer’s closing costs? Who pays the buyer’s closing costs? Are there any down payment assistance programs available? 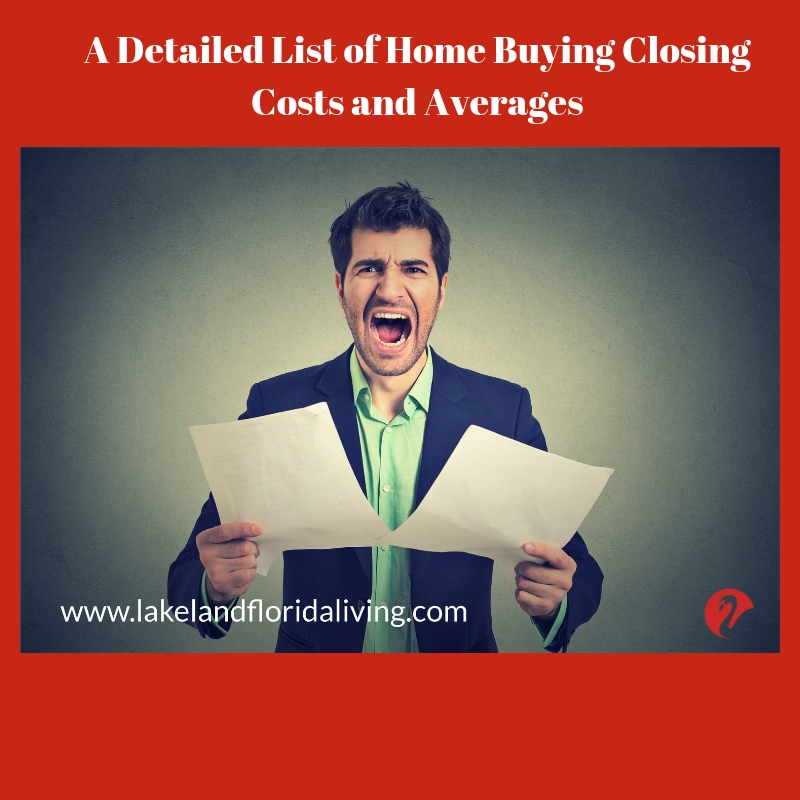 A list of the most common buyer’s closing costs and their estimated ranges. Is there any way to avoid the homebuyer’s closing costs? If you spend just a few moments reading this article all the way to the end, you will have enough knowledge to ace the closing process like a pro. And you will be able to do so without all the stress that would have come from not knowing and thoroughly understanding what it all means. Closing costs are the fees associated with buying a house. All fees referred to as closing costs are paid at the closing when the home is transferred from a seller to a buyer. There are two types of closing costs. The seller’s closing costs and a buyer’s closing costs. How Much Are the Buyer’s Overall Closing Costs? The total buyer’s closing costs will vary depending on a number of factors such as any of the costs negotiated between the buyer and seller, etc. However, on average a buyer’s closing costs usually range between 2% and 5% with the average being 3% of the total sales price of the home. Who Pays the Buyers Closing Costs? Just as you would expect, the buyer pays the buyer’s closing costs and the seller pays the seller’s closing costs. However, the closing costs of a real estate transaction are frequently used as a negotiating point, so this is not a cut and dry standard. In addition, the seller is allowed to pay some of the buyer’s closing costs, but how much the buyer puts down and the type of loan he/she is considering will determine just how much a seller is legally allowed to contribute to the buyer’s closing costs. For this reason, you want to hire a buyer’s agent. Ask your real estate agent to assist you with whether or not this is a possibility for any house you want to make an offer on. Are There Any Down Payment Assistance Programs? There are some circumstances where a buyer can obtain down payment assistance, especially if they are a first-time homebuyer. There are government agencies that will help a first-time homebuyer with the down payment which will reduce the buyer’s overall closing costs. You can check with your county or state for down payment assistance programs. You can also talk with your real estate agent for direction as well. Here is a list of the most common buyer’s closing costs and their estimated ranges. The application fee is required to cover the lender’s costs for processing your application. The application fee is usually non-refundable and ranges between $250-$450. Additionally, the application fee is one of those fees that can sometimes be negotiated away. This fee is to cover the cost of the bank retained appraiser who determines the value of the property for lending purposes. The appraisal fee ranges between $350-$500 for a single family home. And sometimes the application fee will include the cost of the appraisal. This is the fee that’s paid to the title company for orchestrating and conducting the closing as an independent entity in the home buying process. The closing fee could also be paid to an escrow company or an attorney as well. These fees generally run between $350-$550. This fee can be paid by the buyer or seller. It covers the cost of preparing all the legal paperwork and any documents related to immovable property. The document preparation fee can range anywhere from $100-$550 depending on the length and complexity of the paperwork contained within. The elevation certificate is sometimes paid by the buyer and at other times by the seller. Every mortgage company requires a flood certification prior to closing. A flood certification will determine if the property is located in a flood zone or not and if it is which category it’s in. If you are in a flood zone, your mortgage company will require that you obtain and maintain flood insurance throughout the life of your loan. The average cost of flood insurance in Florida is $545 per year if you purchase it through the National Flood Insurance Program (NFIP). However, you might find it a little cheaper if you buy it through a private flood insurance company. If your home is located in a flood zone, your flood insurance could cost more than $2,000 per year, depending on which flood zone the house is in. If you are financing a home, the lender will require you to purchase and maintain homeowner’s insurance on that home until it is paid in full. This protects the lender against losses such as fire, wind, or other natural hazards. In addition, most lenders will require you to pay for the entire first year’s policy upfront at closing. The cost of your homeowner’s insurance will depend on the value of your property and the contents of your home. A thorough inspection of the home may be required by a mortgage company and highly recommended in cash deals as well. A home inspection should consist of termite, septic and well, if available and radon The home inspection fee is paid to a professional home inspector for their services and usually runs somewhere between $450-$750. A buyer is required to pay for the lead-based paint inspection if they choose to have the home evaluated for a lead-based paint risk. In addition, it’s common for the buyer to include a lead-based contingency in the contract so if they don’t like the results of the report, they can back out of the home purchase contract without obligation. NOTE: Lead-based paints were banned from being used in housing in 1978. That means all houses that were built before 1978 probably contain lead-based paint. And, it’s not actually the lead-based paint that’s a problem, it’s the deterioration of that paint that poses a health risk, especially for children. These fees cover the lender’s administrative costs such as processing your loan application, underwriting and funding your loan, and any other administrative services. Generally, the loan origination fees come out to about one percent of the total loan. However, sometimes you can find lenders that don’t assess this fee. A buyer pays the recording fees to the city or county where the property is located. This fee pays for recording the documentation of the purchase. The documentary stamp tax rate for Florida is $0.35 per $100 that is paid for the property and is paid to the county clerk when the deed is recorded. This fee is charged for a licensed notary public to confirm and swear to the fact that the person(s) named in all related documents did, in fact, sign them. Notary fees typically charge between $75-$150 for this service. In many cases, the lender will require the buyer to pay for things like property taxes, homeowners insurance, and mortgage interest which is the amount that accrues from the date of closing to the end of the month. The prepaid costs are those that have to be paid in advance of the closing. A lender is required to provide the buyer with an estimate of all these costs. This is called a Good Faith Estimate and the law requires the lender to provide this to the buyer within three days of that buyer applying for a mortgage loan. Points help bring down the interest rate on a loan. Different lenders offer different interest rates with different points. However, when a mortgage company refers to one point, this means one point is one percent of the loan. Therefore, for every $1,000 you put down you receive one point. The more points you pay at closing, the lower your interest rate will be. EXAMPLE: If you put $1,000 down on a $100,000 loan, that is equal to one point. PMI is required on any conventional loan where the down payment is less than 20 percent of the purchase price. This money is used to protect the lender in the event the home goes into foreclosure. The private mortgage insurance fees vary between 0.3 percent to around 1.75 percent. Generally, the buyer pays for the first year of PMI at closing and the lender can also legally collect up to three months of PMI for the following year as well. This fee is paid to a survey company to verify the property lines, shared fences, etc. In essence, the property survey will certify the precise legal boundaries of your property. The property survey fee will generally range between $275-$450. Generally, you will be required to pay at least six months worth of county property taxes. And, of course, the amount of those taxes will depend on the value of your property as a whole. This fee can be paid by the buyer or the seller. A title search fee is paid to the title company for performing a thorough search of the property’s records such as the deed and making sure there are no pre-existing liens that give someone else a claim to that home. Title search fees usually range between $175-$250. This fee is due when the lender uses a wire transfer rather than sending a check to fund the loan; therefore, there is an additional charge for this service. Wire transfer fees typically range somewhere between $20-$50. Is There Any Way to Avoid Paying the Homebuyer’s Closing Costs? There are two different ways for a buyer to avoid paying the closing costs. 1. Home buyers can use the closing costs to negotiate with a seller. In this case, the buyer would request that the seller pay the negotiated closing costs or up to the amount of closing costs a seller is legally allowed to pay on behalf of a buyer. This is often done in exchange for paying the asking price (or higher than asking price), or any other negotiated terms of the contract. 2. The buyer could opt for a no-closing-cost mortgage. However, in the long run, the buyer will end up paying other fees or higher fees that will ultimately be wrapped into the total mortgage owed. Which means the buyer will probably pay more in the long run because he/she will have to pay interest on those higher fees and costs for the entire life of the loan. And 30 years of interest can really add up. Therefore, you should really consider the overall cost of a no-closing-cost loan before deciding to go that route. If you are thinking about buying a home, or just have a few questions about how a home buyer’s closing costs translate to your particular situation, please Contact Us today. We would love to show you just how easy buying a home can be. 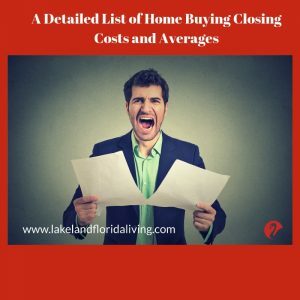 Thanks, this is an excellent and comprehensive list of closing costs. All buyers and sellers should have an understanding of these. Thank you Gabe for your comment. This should give buyers and sellers heads up on closing costs.